From the front box, you may just have a small curve around the mountain into the green. Here’s a perfect hole-out with a 5-wood. And here’s another one that needed more hook because of the left pin. From the back boxes, you see a tee shot similar to #7 and #14. This one is much more difficult because the wall extends farther down the fairway, and the penalty for a miss is usually water! Sometimes it will just seem impossible to hit the green off the tee, so there may be situations where you just want to lay up. Another idea that will take some experimentation is the bank shot off the wall of the canyon that envelops this green. It’s risky, but the reward could be an eagle putt! Here’s a perfect bank-shot driver from the middle-right box! And here’s another amazing cut-shot backspin driver that skips off the water into the hole! Finally, this bank shot works perfectly with the pin placement. 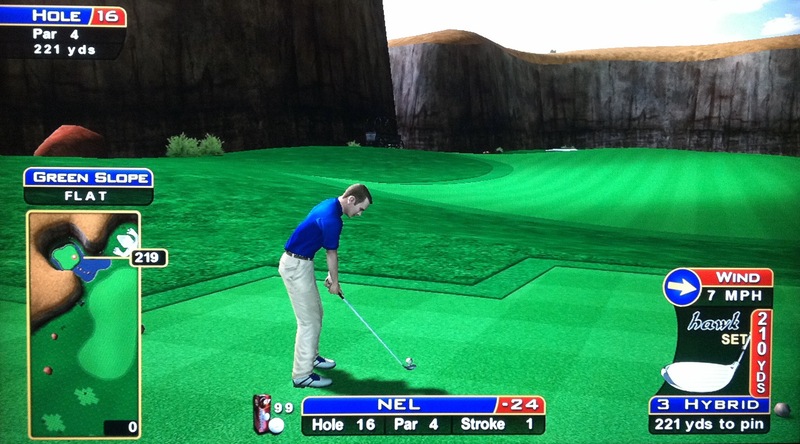 Here’s a perfect 3-wood from the back-left box — look how close it comes to skimming the wall! Finally, if the wind is blowing towards the green, you can get a nice little skip off the wall, like this amazing shot! Get creative and you might think up bank shots off the back wall to bounce back towards front pins. Here’s a crazy one for fun, but it’d be more fun if the player changed the camera angle! And this one is even better — amazing! How about another double-banker — crazy. Oh what fortuitous bounces. And just WOW on this one. I can’t believe this 4-banker — one of the best yet! Another one for fun from the fairway — ha! 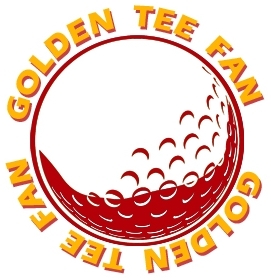 New Category — GTF Featured Holes!